Feathered earrings & accessories in 2011 were like today's Alex & Ani bangle fad - well that was fast. Not really sure why these things hanging from our body parts were such a must-have, but I'm glad that's over. I needed them in every color... Now, I wouldn't be caught dead with them on. 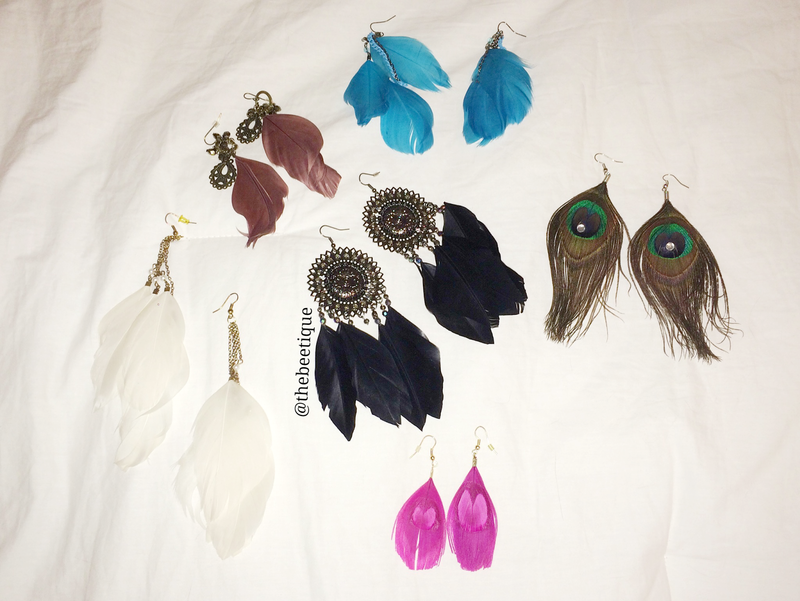 I remember losing a feather earring at a bar and begging the bouncer to find it after closing. The fact that I actually accepted the earring back after soaking in bar-floor-beer-dirt all night is disturbing, so my collection above will now be entering RJH - Ratchet Jewelry Heaven. Who am I kidding, 5 years from now they'll probably be back on the runway. But until then, they're Hillary Duff so-yesterday.